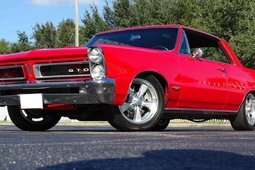 1964 was a good year for car lovers in America. 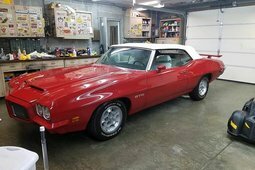 The Ford Motor Company released the Ford Mustang, which would eventually become a symbol of the United States symbol, and thus set the standard for the future pony car class. And General Motors took it one step further. 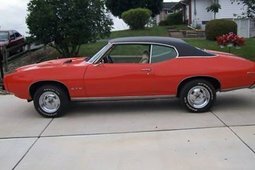 After implanting a big block V8 into the compact Pontiac Tempest in 1964, they bred a new class of automobiles that is perfectly described in two words: muscle car. 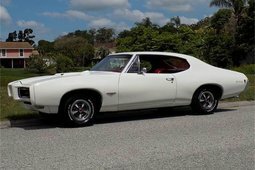 As often happens, the Pontiac Tempest GTO was met with phenomenal success but had a difficult time finding its way into showrooms. And if it wasn't for one stubborn man named John Zachary DeLorean (whom we have already written about in the Life section), we would only know the GTO as a Ferrari model, and not as a Pontiac. DeLorean was already the chief engineer at Pontiac when they launched the family of compact cars named the Tempest in 1961. The project was not a great success, even though the car was not small – at 190 inches (a bit more than 4.8 m) long, it guaranteed enough space, but that wasn't enough for Americans. 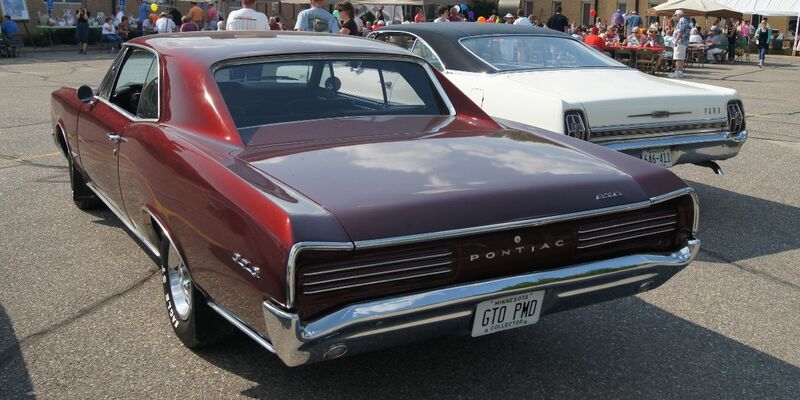 So the role of the Tempest was simply to fill the Pontiac model range, where everything was built on the wide-track, full-sized Catalina and Bonneville "liners" that were their bestsellers at the time. However, the Catalina and the Bonneville were not of interest to young people with money, and DeLorean really didn't want Pontiac to just be an old-person's brand. It didn't require a lot of thinking, since young people have always been attracted to the cars that burn the most rubber, so the decision came naturally. During a brainstorming session one Saturday in the spring of 1963 to discuss the new 1964 Tempest coupé prototype, one of the engineers – Bill Collins – said: “You know John, with the engine mounts being the same [Pontiac had one family of engines], it would take us about 20 minutes to slip a 389 into this thing.” And just a week later, a car with a 389-cubic inch (6.4-litre) engine and 325 hp was standing in DeLorean's garage. 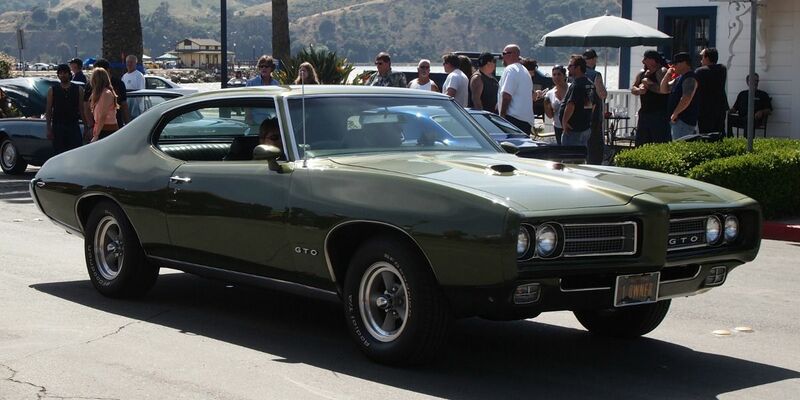 John quickly came up with a pretentious name as well – the GTO. Ferrari was already using these three letters, but DeLorean found out the GTO name didn't belong to the Italians in the US, so no one had the legal right to make claims. It's still not completely clear what these letters mean: at Ferrari they stood for "Gran Turismo Omologato" ("Grand Touring Homologated"), while Pontiac enthusiasts argue that DeLorean had "Pontiac Grand Tempest Option" in mind. However, putting in the engine and coming up with the name was the easy part. In the 1960s, the General Motors police had instituted a ridiculous policy limiting all of their cars to 10 pounds per cubic inch (4.5 kg per 16.4 cubic centimetres). According to this logic, DeLorean could fit the GTO with nothing bigger than a 350-cubic inch (5.7-litre) motor. However, the functionaries left a way out, since this requirement was only applicable to serial cars, but did not apply for option packages. 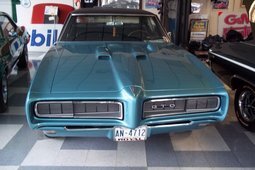 So the guys at Pontiac came up with the idea of selling the GTO as an option power and design package (which also included a 389 V8) for the Pontiac Tempest Le Mans. And if that wasn't enough, before turning over the project to the GM management, DeLorean made an agreement with a dealership chain for the pre-order of 5,000 cars, since it's questionable if he would have gotten the green light for such a venture otherwise. After all, even the biggest bureaucrats wouldn't stop production of cars that have already been sold. 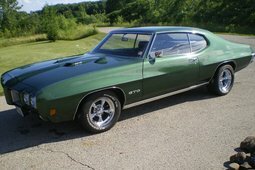 However, they were still convinced that the GTO's story would end with those 5,000 cars because they thought that the dealers would never manage to sell this amount in a year. Little did they know. 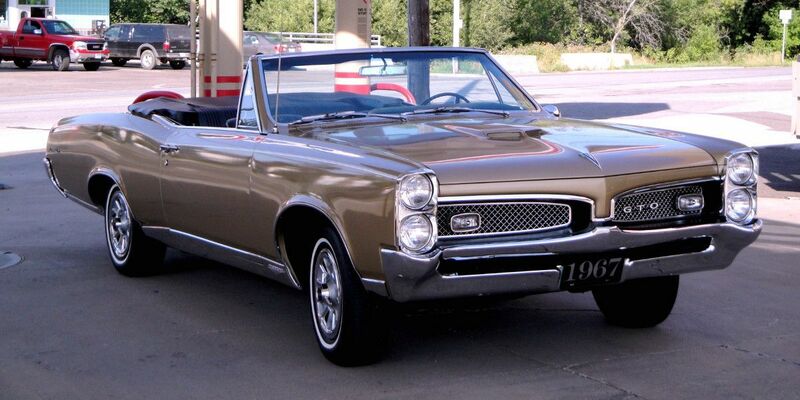 They ended up selling 32,450 cars in 1964 alone, and that was practical without any official advertising since that was dedicated to other Pontiac models. Given, this model did get some rather unexpected and not entirely fair advertising that turned out to be very successful. 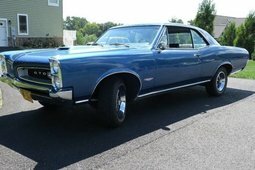 In 1964, Car and Driver magazine published a unique Pontiac Tempest GTO vs Ferrari 250 GTO road test. Admittedly, it was an improvised test, because the only place where the cars actually met was on the magazine cover. Even if they had really wanted to, Car and Driver probably wouldn't have gotten their hands on a Ferrari for a road test, since that was one of the rarest and most expensive cars in the world (only 39 250 GTOs were produced in total), and one which Enzo Ferrari himself selected customers for. So the journalists conducted a hypothetical "what if" road test, and the American came out on top of the five-times-more-expensive Italian, since according to the findings of the magazine, the Pontiac was faster in accelerating from zero to 100 mph. For truth's sake, it must be said that the car that the journalists tested had been modified, and it is unclear how they measured the speed. 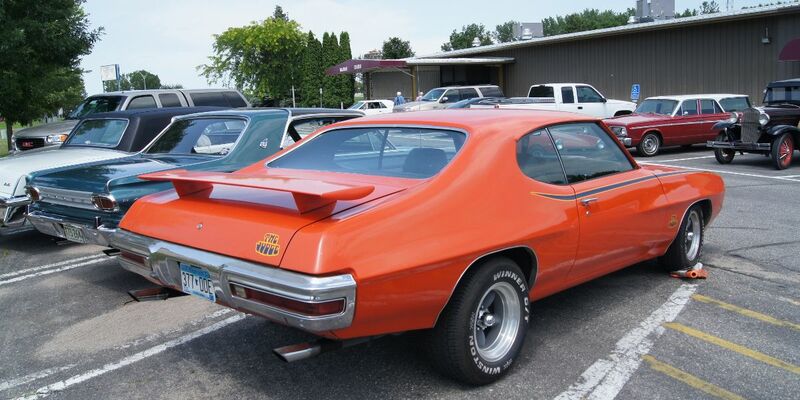 However, nobody was interested in the details, and the myth that the Pontiac was faster than the Ferrari spread like a virus and baby-boomers stormed dealer showrooms as a result. Incidentally, the magazine repeated the comparison 20 years later (this time actually testing a Ferrari 250 GTO) and the Pontiac lost in all categories. And the rest is history. 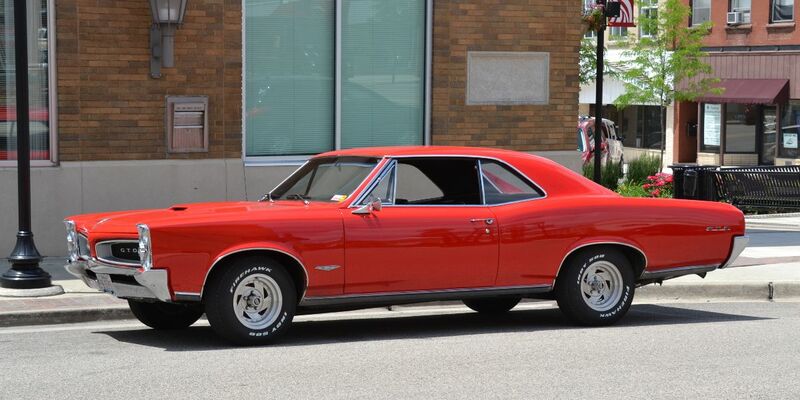 In 1965, the GTO – like the updated Tempest – got vertically stacked headlights, and in 1966 the GTO became a full-fledged separate Pontiac model and broke records with almost 100,000 sold that year. 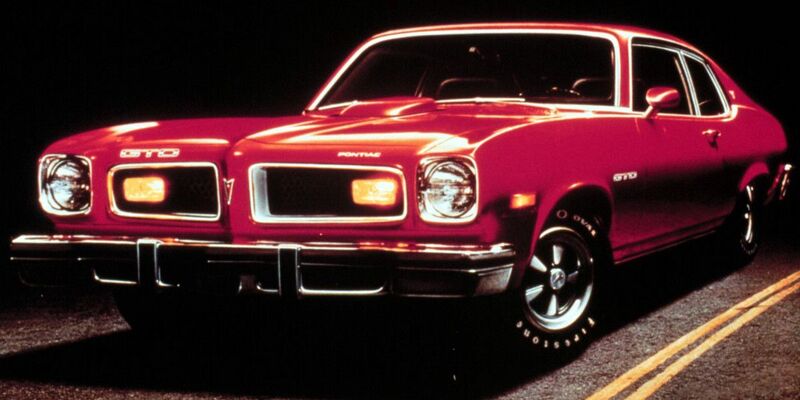 The design changed every year – even getting concealed headlights at one point – but once the 1970s set in, the muscle car phenomenon began to play out. 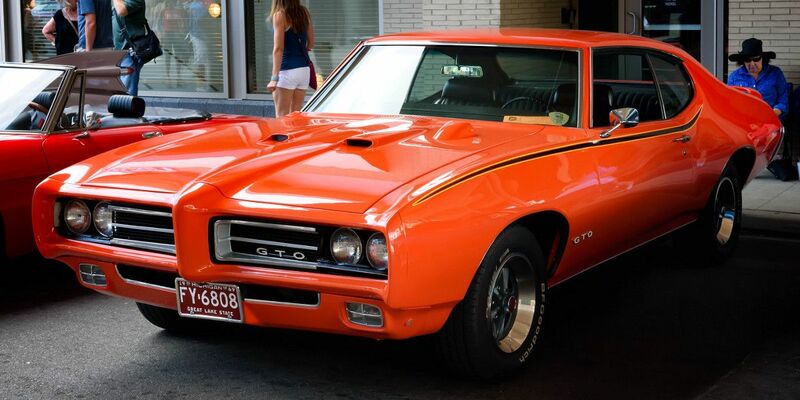 The oil embargo and the rising price of insurance for young drivers significantly reduced the number of buyers, so in 1972 the GTO once again became just an option package for the Le Mans, and after producing the last 7,058 in 1974, the story ended. 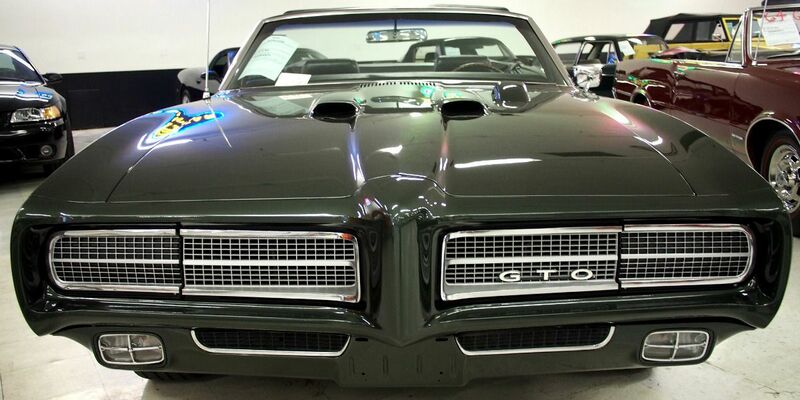 However, the GTO's legacy is significant. 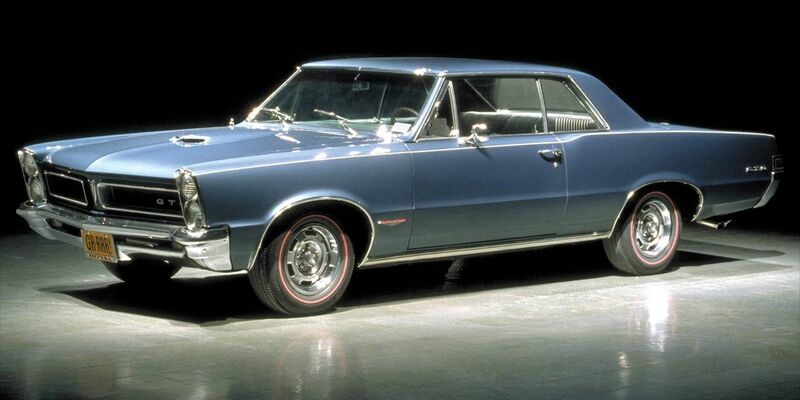 Over those 10 glorious years, more than half a million GTOs hit the streets, and even if a large portion of them didn't make it to our day, there are still enough cars on the market for you to choose – prices start at USD 14,000 and can top 100 grand.